Despite a downpour two hours before tip-off and local flash flood warnings 10 minutes before the start, game one for the Golden State Warriors of the NBA Development League is in the books. 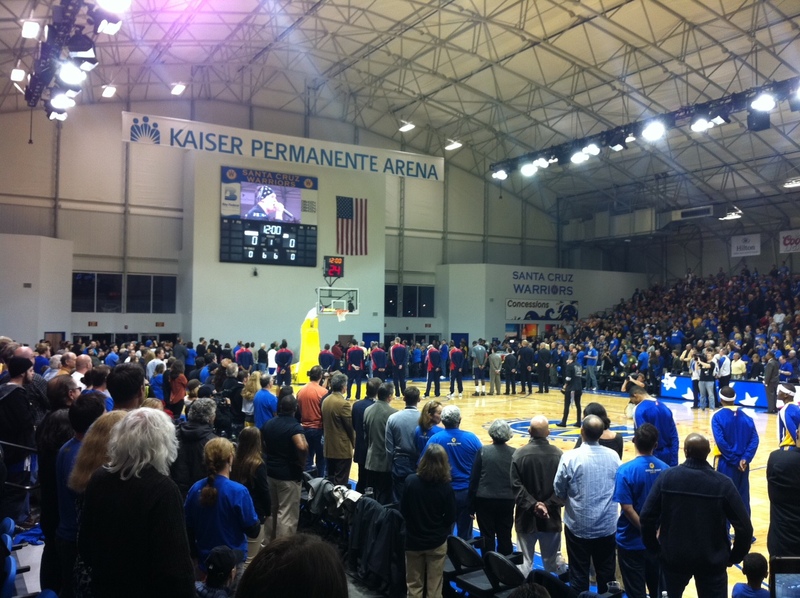 With an attendance sellout and victory for the Warriors, the inaugural home game was a resounding success. Congratulations to the City of Santa Cruz and the Team! BRW Architects worked on the $4.1 million downtown arena from the initial concept design through final construction. Click here to see a video about the impact of the new arena and its opening night.